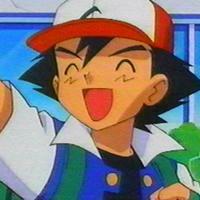 I need an actor to voice Ash Ketchum for my Pokémon project. It doesn't have to sound like Veronica Taylor. Please audition. The main hero of the Pokémon anime. His dream is to become a Pokémon Master. The best one. I emphasize BEST. That's right! I declare to the Pokémon of the world...I will be the greatest Pokémon trainer... the greatest Pokémon master...of all time! Come on, Misty. Everybody makes a wrong turn once in a while. Right? Wow! I never knew science can be so amazing.